Performance and functionality are top priorities for this appliance. The PN 100 comes equipped with the proven technology of our robust machines. 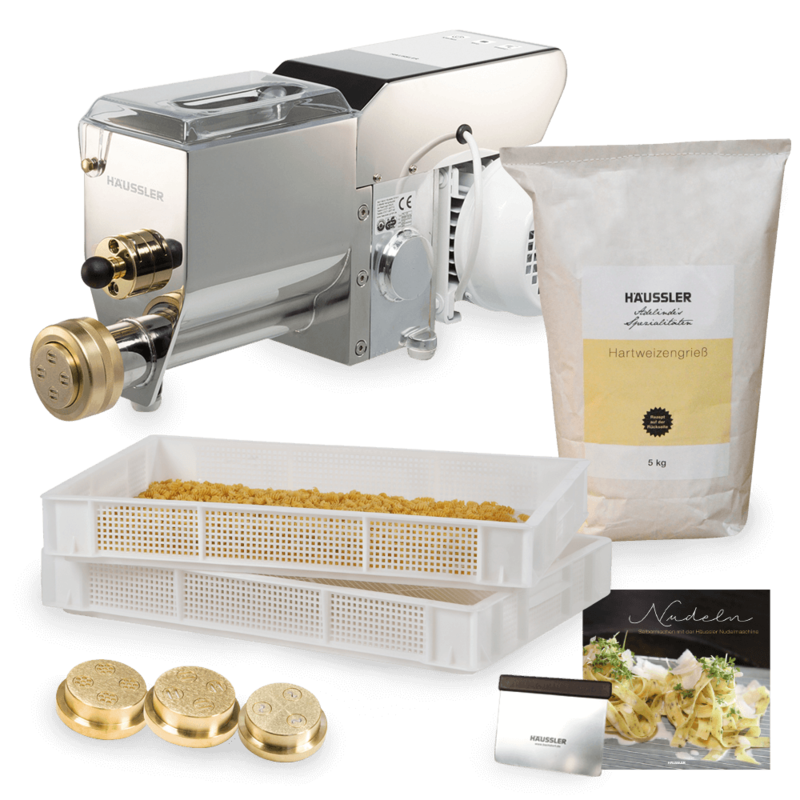 It is ideally suited for the easy and time-saving preparation of fresh pasta. With the supplied measuring cup, add the ingredients (max. 1000 g flour or semolina) for the desired type of dough to the machine. In a few minutes, the machine will knead more than 1400 g of fresh dough ready to use for further processing. Then simply insert the desired pasta mould and press out the pasta. The pasta prepared in this way can be boiled immediately (about half of the boiling time for dried pasta) or dried for stocking up. 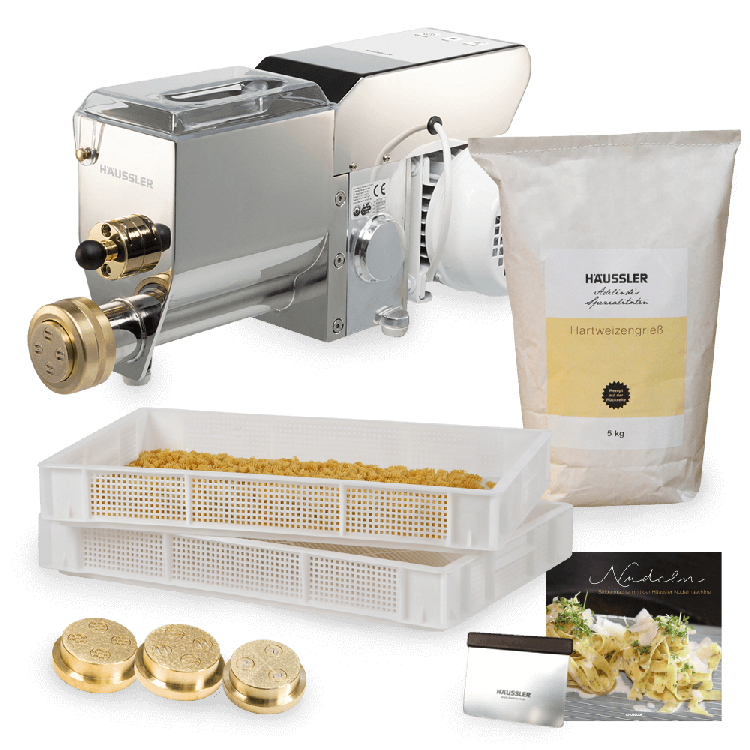 The perfect machine for families, pasta fans or small restaurants – because home-made pasta is a real pleasure.